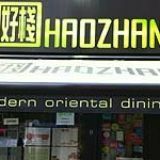 Haozhan on Gerrard Street offers a wide selection of Oriental dishes. A typical menu may include Malaysian ho fun, Assam prawns and Haozhan champagne cod. A wide choice of world wines are available to complement your meal. Do you work at Haozhan? What did you think of Haozhan? Had dinner here on sat. Duck pancakes starter was good (can you go wrong? ), but the main was average at best. Flavoursome enough, but the quality of the chicken wasn't the best. Service was attentive and pleasant. I've had better, I've had worse. Can't think of a worse Chinese restaurant in Chinatown, or even London. They probably have the most impolite manager who doesn't give a damn what you think. The other staff members were okay, but the manager's so rude and dominating (giving you tea without even asking you what you want to drink; when you ask to change to another table after sitting for a few minutes he said no and went off). Portions are really small (especially the roast duck - DON'T order that unless you want to pay 15+ quid for 8 pieces of meat), and the so-called 'innovative' dishes to me means 'inauthentic' and 'weird'. If you want some decent Chinese food, anywhere else in the area is better. The food here is delicious, innovative and beautifully presented. Definitely one of the best fusion restaurants in London. It is one of the more expensive places in chinatown but is worth it - even if you only ever go once. Wonderful. We ate here today- Sat 13th Feb 2010- the food is good, smallish portions, but tasty. However if you like polite, decent service, go somewhere else. Especially the manager, who should be leading the way, but seems unable to smile! In all honesty though, if you can ignore that, it's good dining. I went here on Sunday 25th January. I had read some reviews saying it was ok, but that it used to be better. I had the worst meal I ever had in any restaurant. As I dont eat meat and they have no proper vegetarian options (which is also I think unusual for a restaurant in London), I ordered Tofu minus scallops. The tofu was served cold alongside cold rice and tasted like cold egg. Yuck! 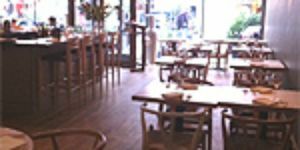 The food my friends ordered was not as bad as mine, it was just ok no one was impressed, however we took a late booking and were very put off by the three waiters standing in the corner pressurising us to finish throughout the whole meal. They shouldn't accept late bookings if that the case. The only thing i can say for this place is the presentation of the food was good. If you equate dining in Chinatown with cliched, monosodium glutamate-laden dishes, surly staff, cramped tables, grubby carpets and dated decors, think again. 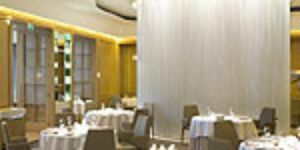 Since it opened in June 2007, Haozhan has upped the ante with high-class, modern cuisine served with a smile in sleek surroundings at reasonable prices. The two dining rooms, ground-floor and first-, are almost identical, with styling far removed from that of the area’s fading, traditional Oriental establishments. The tables are black and shiny; the chairs, smart but comfortable dark brown leather; the floors, slate. There are mirrors, boxy lampshades and jade panels. This is not a place to stumble into late at night for a mound of indifferent sweet and sour pork and rice when you need to neutralise a bellyful of beer. 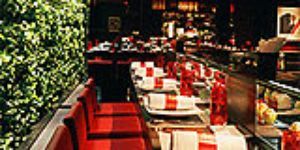 One of the waiters upholds the China Town tradition of curt, unsmiling service, but his attitude is thrown into stark relief by the charming, helpful, unhurried ways of all his colleagues. The ground floor room is the busier and buzzier: there’s a feeling, as you are led upstairs, that you may be heading for culinary Siberia. In fact, the upper room is also delightful, its comparative calmness perhaps even preferable for deep conversations or first dates. Malaysian chef Chee Loong Cheong used to cook at pricey, Michelin-starred, once uber-fashionable Hakkasan, and it shows. Here is a menu (a comparatively, and reassuringly, short one for a Chinese restaurant) of clean, modishly re-interpreted Cantonese classics plus Japanese, Thai and Malay touches. One or two offerings sound as if they may have crossed the line between innovation and silliness – Marmite prawns, anyone? Coffee ribs? – but there is plenty that entices. The aforementioned ribs in their coffee glaze are an interesting and memorable dish with their strange, sweet-yet-bitter flavour. The meat is top quality, the presentation attractive and the portion ample. Crisp, grease-free vegetable spring rolls arrive with an unannounced side portion of what seems like flattened, slightly spongy prawn toasts, and tastes much better than it sounds. Steamed sea bass on pickled vegetables is simple, elegant and luxurious. The restrained seasoning and flavouring allow the perfectly-cooked, generously-sized, sparklingly-fresh fish fillets to shine upon their bed of sliced asparagus spears. Sweet and sour chicken in gossamer-like batter seems almost healthy. A side of baby bok choi is crunchily delicious and artfully presented. Of the puddings, deep-fried ice cream is a ball of vanilla in a cake crumb shell. It’s pretty, and tastes pleasant enough but lacks the hot-and-cold wow factor of its western cousin, baked Alaska. Cream of pumpkin is surprisingly light and not overly sweet. Vegetarians are well catered for here. Tofu, made on the premises, has won countless plaudits, and merits its own menu. The varied, more than adequate wine list starts at under £20 and goes well up into expense account-only territory. A glass of house white proves deliciously clean and crisp. There are plenty of Oriental beers, bottled waters and other soft drinks, all at non-mickey-taking prices. Finally, Chinatown has a real contender in Haozhan. The name means good place to eat, and it certainly is. 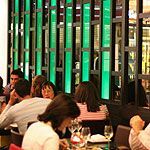 Three courses and a couple of drinks will set you back about £40 a head: for food of this quality and innovation served so charmingly in an attractive setting, especially in Central London, that’s money well spent.